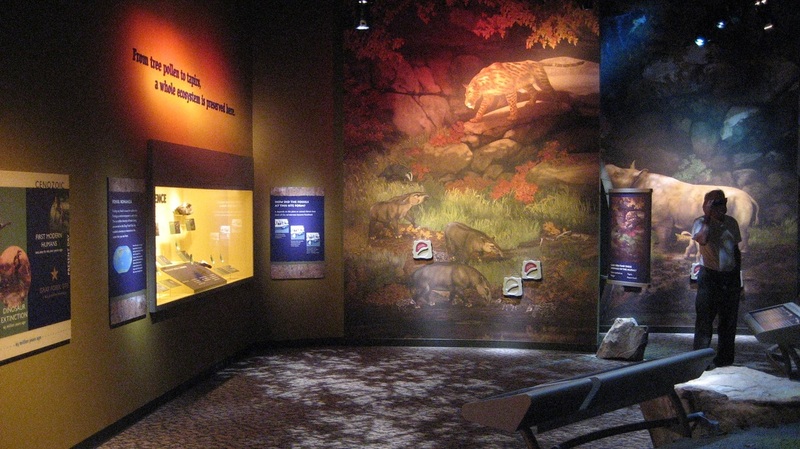 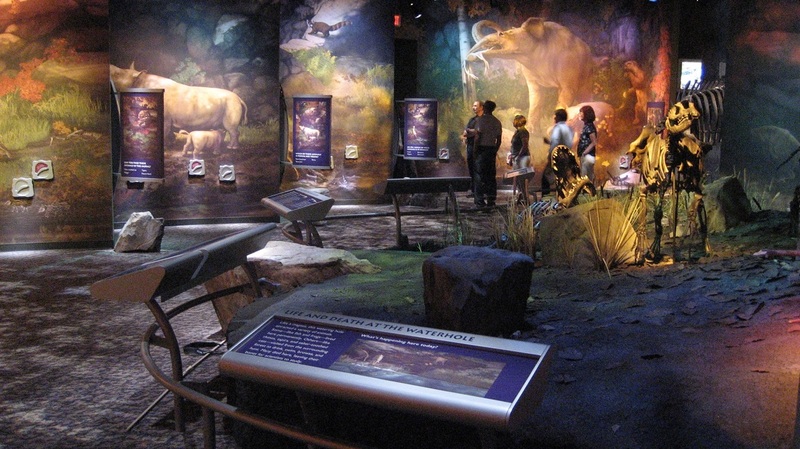 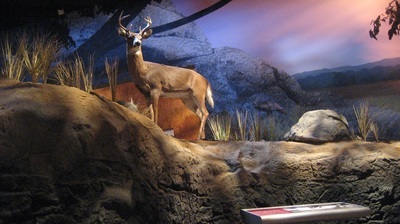 The Gray Fossil Site Visitor Center is an immersive introduction to the nearby dig site, which is boasting a rapidly increasing list of fossils found to date including ancient rhinos, tapirs, turtles, alligators, short-faced bear, weasels, red panda, rodents, and others, plus fossilized plant remains. 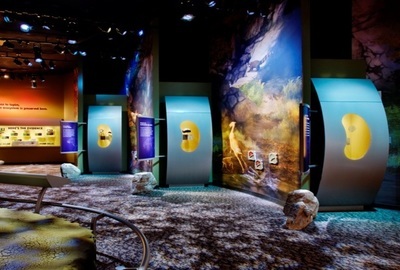 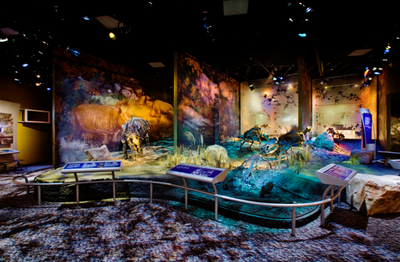 The exhibit design centers around a large basketball-court-sized land form that Explus has recreated, which imitates the epoch site, complete with fossils peaking out of the ground in various states of reveal. 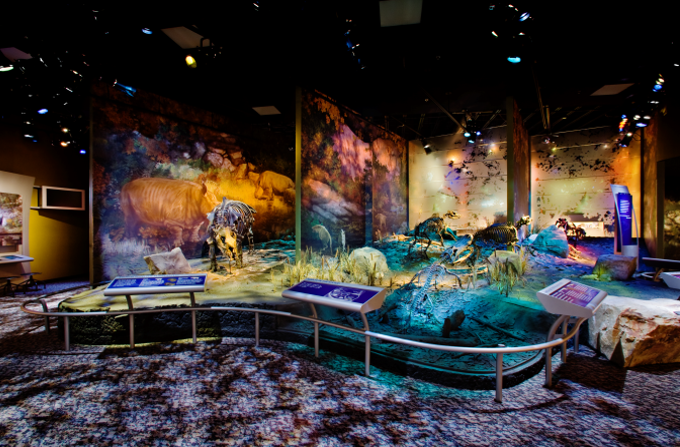 This realistic simulated earth and rock ground form of a Tennessee Miocene environment includes earthen and rock formations, small bunches of grass and moss, simulated water, and cast articulated specimens. 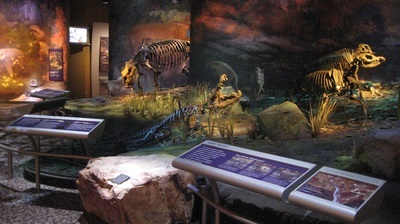 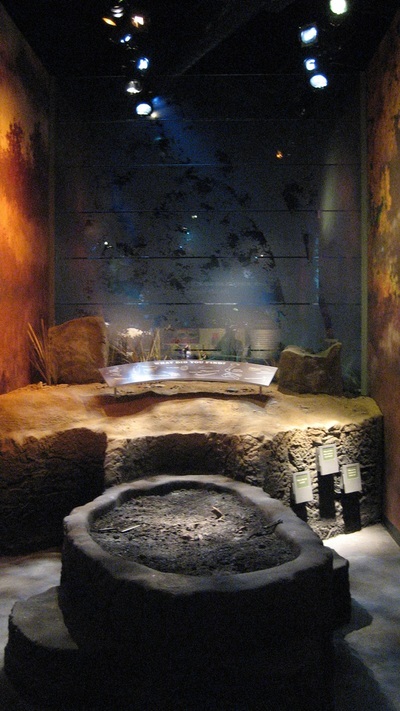 One of the highlights is a fossil alligator skeleton which appears to emerge from one of the recreated ponds.